Alhamdullilah, videos of AMSA events have had more than 100,000 views. Find out why with the playlists below. “The Innocence of Muhammad” (pbuh)- a series AMSA UK ran in 2013 to counter the anti-Islam propaganda movie made called “The Innocence of Muslims.” It was our first event series, and there could have been no greater topic to speak on. 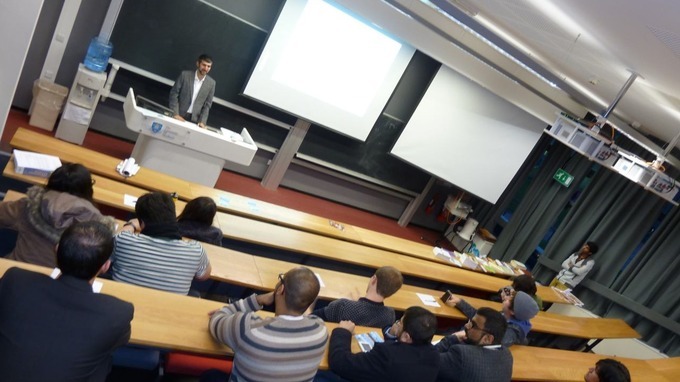 The Islamic & Caliphate Event series was the first flagship series of AMSA UK in 2014-2015. Run to oppose the distorted image of Khilafat that ISIS were propogating, AMSA was able to spread the true teachings of peaceful khilafat at over 10 universities. Discover detailed explanations of Ahmadiyya theology, and unanswerable arguments of why this community is truly the renaissance of Islam.